A lot happened in the year 2007. J.K. Rowling published “Harry Potter and the Deathly Hallows.” Apple released the first iPhone. Will Ferrell, er, George W. Bush was still president. With so many memorable events, it’s not surprising that there were also many memorable movies. From childhood favorites to critical masterpieces, 2007 had something for everyone. The most unforgettable animated movie from 2007 is undoubtedly that year’s Oscar winner for “Best Animated Feature”: “Ratatouille,” a Disney-Pixar film that follows a lovable rat named Remy as he tries to become a chef in the cuisine-dominated world of France. The movie promotes the message that you can achieve anything no matter who you are, but “Ratatouille” is much more than that. It’s enjoyable to watch, funny, and heartwarming in the best Disney-Pixar way possible. The film epitomizes each of these traits towards the end, when Remy must make a dish for the food critic Anton Ego. Ego’s first taste of Remy’s ratatouille transforms him from a cold, soulless food critic to a giddy kid again. I think that’s what this movie does best—it provokes intense nostalgia for the movies and books that are significant for a whole generation of children. Plus, it made ratatouille look tasty to my nine-year old self. Another indelible animated movie from 2007 is “Bee Movie.” More of a recent cult hit than a true childhood favorite, this tenth season of “Seinfeld” showed what would happen in a world without bees. Or rather, what would happen if bees could go to college, spend time with humans, and file lawsuits. Both are equally terrifying. Vanessa Bloome (Reneé Zellweger) reflects this fear when Barry B. Benson (Jerry Seinfeld) first speaks to her. Benson decides to go with a simple “Hi!” instead of the now legendary, “You like jazz?” As most people would, Bloome drops an armful of dishes. As most people wouldn’t, she stabs her hand with a fork to see if she’s dreaming. “Oh! That was a little weird,” responds Benson, who for some reason stays to have a cup of coffee. How was this even made? Regardless of how the movie managed to make it from script to screen, it’s absurdly funny and unorthodoxically amazing. While our childhood selves focused on animated films and box office hits such as “Transformers” and “Pirates of the Caribbean: At World’s End,” the best films of the year were at the top of many critics’ Oscar ballots. Two of the best films ever to vie for Best Picture in a single year, “No Country For Old Men” and “There Will Be Blood” were two masterpieces made by auteurs at the top of their game. Written and directed by the Coen brothers, “No Country For Old Men” is an epic western set on the US-Mexican border in Texas. While the script and cast are both excellent, no one stands out in this film quite like Javier Bardem. His character, ultimate badass Anton Chigurh, is right behind Heath Ledger’s Joker in the running for best villain of the 21st century. Armed with a captive bolt gun that literally puts holes in heads, Chigurh has no backstory. He is only out for the money taken after a drug deal gone wrong. In a character-defining scene, he blows up a car at a gas station after suffering a shot to the leg, just to steal medical supplies. He later nurses himself back to health, all the while displaying little to no emotion. It’s no wonder that Bardem received an Academy Award for this portrayal. In “There Will Be Blood,” written and directed by Paul Thomas Anderson, Daniel Day-Lewis gives an incredible performance in a career full of them, this time as oil entrepreneur Daniel Plainview in late-19th century southern California. Day-Lewis shines as a character who loses himself in his desire for fortune, ruining his relationship with his adopted son in the process. Paul Dano also stands out as a young preacher named Eli Sunday who chastises Plainview’s lack of faith. The film is incredibly visual—the first 15 to 20 minutes contain no dialogue. Aside from the acting performances by Day-Lewis and Dano, my favorite part of the movie is the final scene. There is, in fact, blood. Lots of it. While “No Country for Old Men” and “There Will Be Blood” get most of the acclaim for film in 2007, the year is not complete without a mention of “Atonement.” A decade before Christopher Nolan released “Dunkirk,” Joe Wright gave a glimpse into the famous British rescue in this film. Starring Keira Knightley, James McAvoy, and a very young Saoirse Ronan, “Atonement” depicts how the lives of Cecilia (Knightley) and Robbie (McAvoy) change forever after an extreme misinterpretation by Cecilia’s sister Briony (Ronan) in early 20th century England. Cecilia continues to live her upper class life while Robbie joins the war effort. Both continue to wonder how their lives would have been different if they could have been together. A beautiful love story anchored by an Oscar-winning score, this film boasts incredible visuals as well. One particular scene—an almost five minute take on the beach of Dunkirk—encompasses the fear, death, and hope of the stranded British. With smoke rising all around, cinematographer Seamus McGarvey moves the camera all around the beach, showing soldiers loading their guns, officers shooting horses, grounded ships, mothers clutching their children, an ominous Ferris wheel in the distance, and a group of soldiers singing in a gazebo. In a single, uncut shot, McGarvey shows the nightmare of war through every angle imaginable. 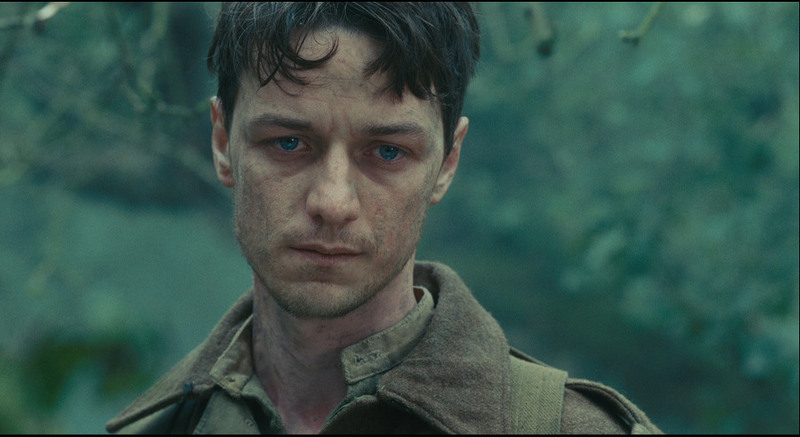 War is hell, and “Atonement” shows it without flinching. At a panel introduced by University President Drew Faust, three College alumni discussed their work in creating "Whiplash," a film about a jazz student and his instructor. In our continuing Cannes coverage, Tianxing Lan examines Natalie Portman's directorial debut. This screening was the first in a film series designed to run alongside the course. Ryan Reynolds and director Tim Miller deserve acknowledgement for their faithful representation of the character and successful execution of the ever-tricky page-to-film adaptation.